Active Citizen is an open-source machine learning software designed to lower barriers to participation through better informing community members through the use of reminders for participation opportunities, suggestions of relevant ideas and news stories, and notification on important issues. Active Citizen’s AI algorithm makes recommendations to users based on “what they have liked or disliked before, in a similar way that Facebook creates your feed." AI filtering is mobilized to analyze ideas and find news stories according to the user’s preference. DEEP-Linking Youth’s (Digital Ecosystem for E-Participation Linking Youth) dashboard, an EU-funded project encouraging young citizens to actively discuss and contribute their perspectives on decision-making processes, is built on Active Citizen. Development of the software was partly funded by the European Commission, first through CHEST FP7 and later by Erasmus+. 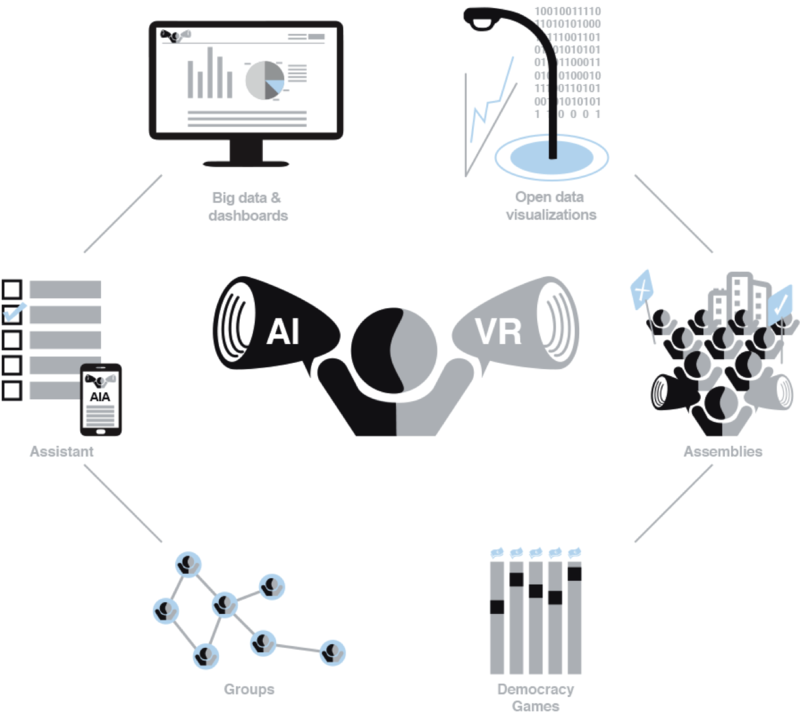 Active Citizen is continually being developed with the implementation of additional AI and VR features in each new prototype. Read more about its progress and objectives here. The tool is being developed by the Citizens Foundation, based in Reykjavik, Iceland. The Citizens Foundation, a non-profit organization founded in 2008, is also responsible for e-democracy initiatives like Your Priorities (the crowdsourcing web app) and Better Reykjavik.